100 bereaved families write to Interior Security Minister Gilad Erdan asking him to stop release of terrorists with blood on their hands. 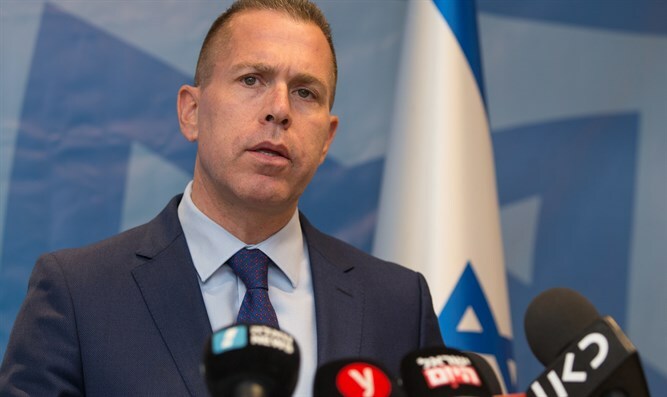 The Bereaved Families Forum called on Interior Security Minister Gilad Erdan to prevent the release of terrorists who helped murder Jews and were sentenced to varying prison terms. The appeal was made following the Prison Service's intention to release prisoners, including terrorists, as part of the process of reducing prison load - according to a High Court ruling. The members of the forum wrote to Minister Erdan: "If this is to happen, it is a slippery slope that will lead to many terrorists, with blood on their hands, some of them who murdered our children, our parents, our wives, our husbands and our dear ones, will return to the cycle of terrorism and murder more Israelis." "The situation in which the State of Israel wishes to release more terrorists is a mockery," the members of the forum noted. "We met with you and with the committee that you set up to examine the conditions of the security prisoners, but it seems that we will now cross another line here. In each of the cases, you indicated to us your uncompromising desire to fight terrorism." "We ask that this decision be rescinded immediately, and if this decision is to be implemented, then the blood of the citizens of Israel will be spilled in greater numbers. Many may, God forbid, find themselves in the circle of bereavement, stricken by terror!" they added. "More than once you promised us, the bereaved families, that you will do everything in your power, and will act more vigorously, to create a balance of deterrence against terror. This promise is inconsistent with the expected release of terrorists who murdered innocent people! You promised us that your word is your bond. This is the moment to call upon you to stand by that word and prevent the shameful and inconceivable tragedy. "We, the bereaved families who have lost what is dear to us, expect you to prevent the expansion of the cycle of bloodshed and the inclusion of other families into the cycle of bereavement, and we demand a courageous and genuine action against terrorism. It cannot be that jurists and officials will manage the security system of the State of Israel in its fight against rampant terrorism," they stressed. The letter was signed by the families, warning: "For us, this is the declaration of a third world war against us, and we will not rest until we announce that this decision will be shelved immediately."